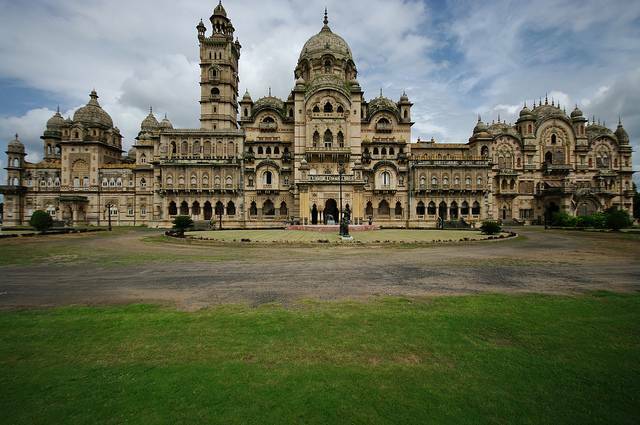 Maharaja Sayajirao Gaekwad III got the Laxmi Vilas Palace built in Vadodara in year 1890, an imposing monument that incorporates architectural style that has Hindu, Islam and Christian influences. The palace is an impressive building and has ornate artwork on the walls and pillars. It is decorated with European mosaic floors, stained glass windows and marble sculptures as well as several paintings. When completed, it was the largest private house built till date and is four times the size of Buckingham Palace. The palace is open to visit and also offers an audio tour. Darbar Hall, within the palace, hosts several music concerts and events.